EdWin. Forever <3. HD Wallpaper and background images in the Edward Elric and Winry Rockbell club tagged: fullmetal alchemist edwin ed winry fma anime. 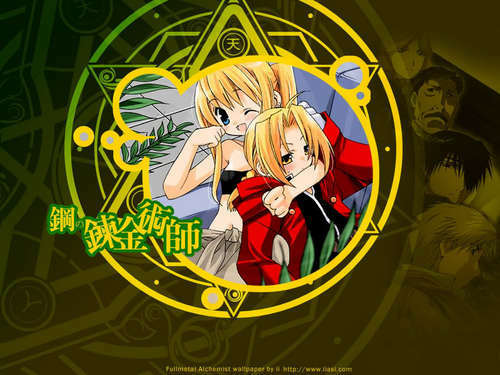 This Edward Elric and Winry Rockbell wallpaper might contain ishara, bango, maandishi, ubao, matini, ubao wa chokaa, anime, comic kitabu, manga, cartoon, and mkono.